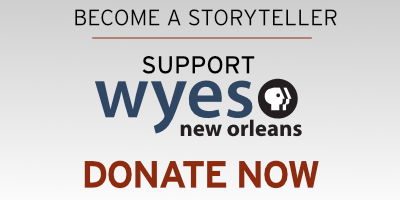 The WYES Producers Circle is a diverse group of donors united by their commitment to quality public television service for the people of New Orleans, southeast Louisiana and surrounding communities along the Mississippi Gulf Coast. 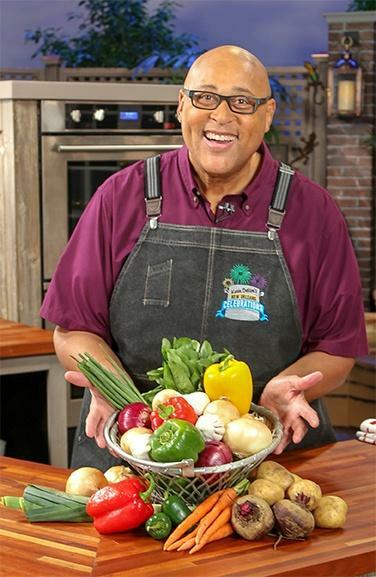 For the past several years, the WYES Producers Circle has provided funding for WYES cultural programs that emphasize the traditions, history and cuisine of our region. 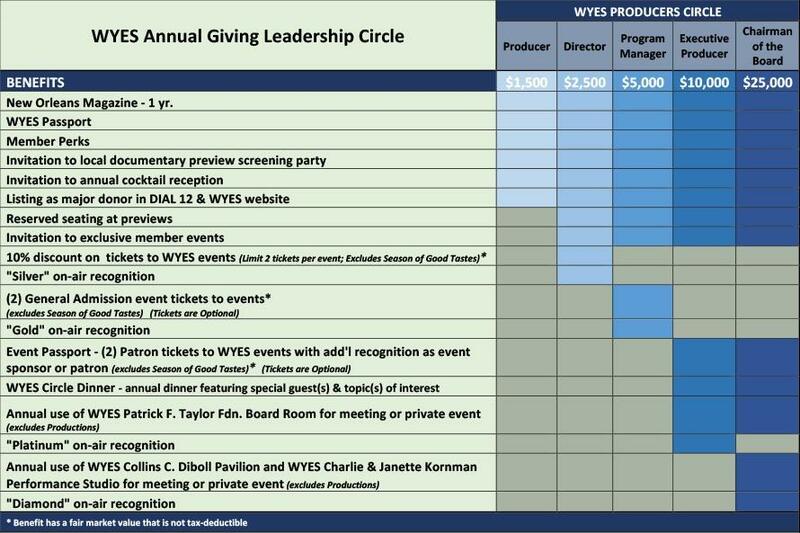 Even joining the WYES Producers Circle is fast and easy, get started now! We are more than happy to answer any and all questions. Contact the Sponsorship Department for more information.